Annica and Lanre Odina (Ocean Reef). 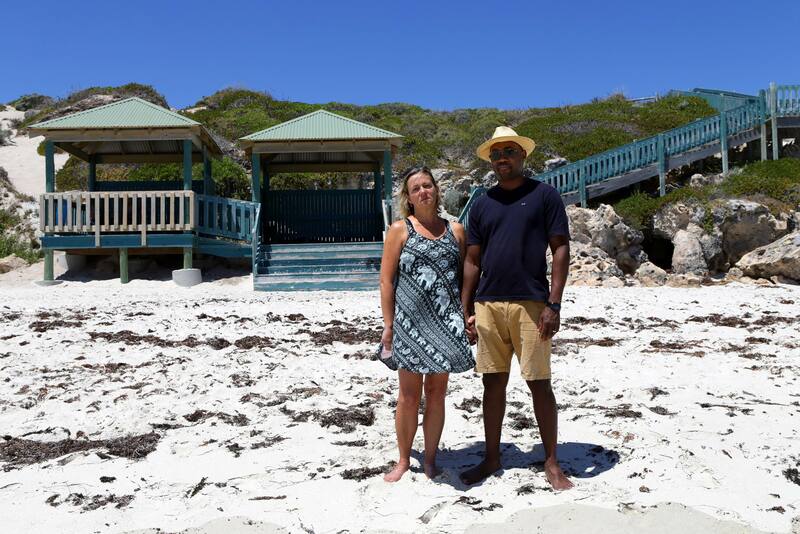 ANNICA and Lanre Odina are calling for Joondalup councillors “to have compassion” and allow them to install a plaque at a beach hut in memory of their son. Four months ago, the couple’s 24-year-old son Daniel was reported missing when he did not return to his Connolly family home after leaving about 8pm to go for a walk. The next morning, his backpack was found at a hut on Iluka Beach and four days later, his body was found about 15 metres off the beach. 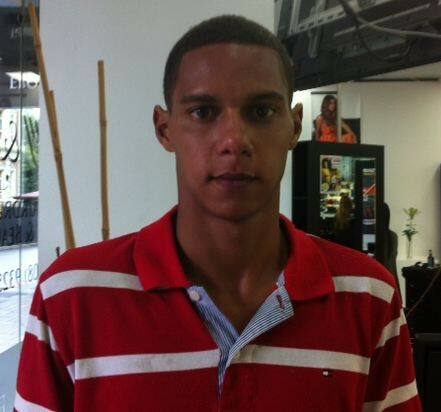 A week later, Daniel’s family and friends held a vigil at the beach hut. “That’s when we understood just how much his sudden passing had also affected other people of all ages,” Mrs Odina said. Encouraged by Daniel’s friends, Mrs Odina applied to the City of Joondalup to install a memorial plaque at the hut but it was rejected. Under the City’s Memorials in Public Reserves policy, adopted in 2009, community members can apply to install a memorial for a person who has significantly contributed to the community. “Based on the information provided in the application, the City was unable to approve the request,” a council document said. It said the application stated Daniel “reached out to people…and made a difference to those who were often forgotten and lonely”, was part of a peer group offering support to “young men from broken homes” and was a junior soccer coach. Mrs Odina said she was astounded her application was rejected and it left her “no option” but to start a petition. In two weeks, the Odinas collected more than 1000 signatures, of which 947 were City of Joondalup residents. This Monday, councillors will vote on the plaque, which City officers have recommended for refusal. “The application and subsequent petition…demonstrates the person was dedicated to the local community; however, it does not satisfy the conditions of the Memorials in Public Reserves policy,” a council document said. Mrs Odina said the policy was antiquated and elitist. “Why is one human’s life more worthy of remembering than another’s?” she asked. Cr John Chester asked at the City’s briefing last week what the main objection was. “The council determined the policy and we have to judge the request against that policy,” Joondalup chief executive Garry Hunt said. Mayor Troy Pickard added there were “a host of reasons based on experiences that are not captured in the policy”. He said based on previous examples, a memorial could become “a space that is not usable by broader members of the public”. “We’ve had some issues in the past with similar shrines associated with antisocial behaviour,” he said. “The council needs to reflect on the dozens of people who are wonderful people in our community and die every week. Where do you draw the line and say let’s have a plaque for this person but not this person? THE City of Joondalup has approved four memorial plaques from 30 requests in the past five years. In 2010, a memorial bench and plaque was approved for Ethel Margaret (Dinky) Goble-Garrett and installed in Carnaby Reserve in Connolly. Ms Goble-Garratt worked as a consultant for Main Roads WA and provided advice on the environmental aspects of the Mitchell Freeway extension. She also worked with Connolly Primary School students. A plaque for Hillarys resident Christopher McBride was approved in 2011 and installed on an existing bench seat inside the shelter next to Ozone Road in Marmion. He helped initiate the defensive driving course for drivers under 25 and spoke to Year 11 and 12 students about losing a child in a road accident to encourage them to be more careful. He also liaised with State Government ministers and officers as part of a campaign to reduce the number of young deaths on the road. 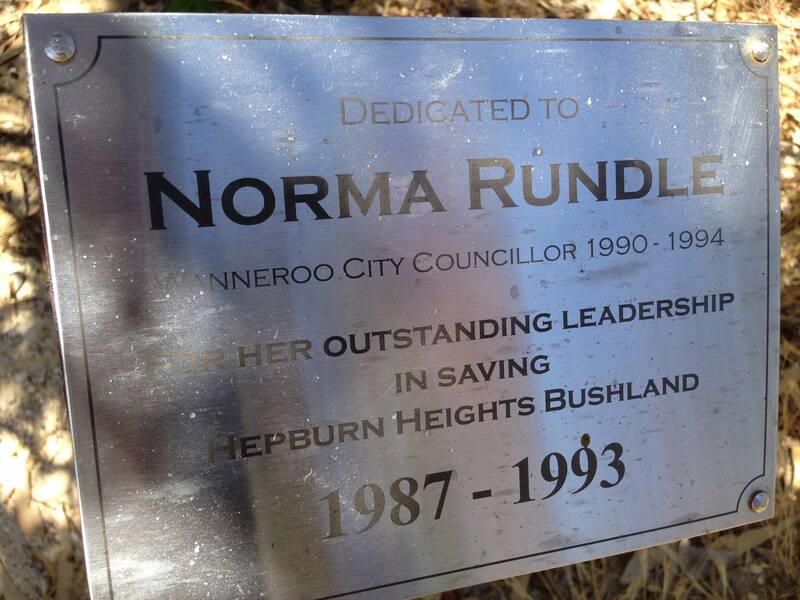 The City approved a plaque on a plinth for Padbury resident Norma Rundle in 2013, which was installed at the entrance to the Hepburn Heights conservation area in Padbury. Mrs Rundle was a City of Wanneroo councillor and is remembered for her work in conserving Hepburn Heights bushland reserve. Also in 2013, a plaque for Rhona Johnson was approved and installed on a bench seat in Sorrento’s Harman Park. Ms Johnson was the first co-ordinator of the Friends of Harman Park and remained in the role from 2002 to 2011. Joondalup chief executive Garry Hunt said the four permanent memorials were in line with the City’s Memorial in Public Reserves policy. He said the policy acknowledged memorials were a way to help people grieve and honour past contributions but that memorials in public spaces needed to be managed. He said the policy provided for temporary memorials to be installed for people who had died in tragic circumstances. “Temporary memorials permit items such as flowers, crosses, toys and notes to be placed on a site for a period of up to six months after approval by the City’s chief executive,” he said. Annica Odina, who has submitted a 947-signature petition to the City of Joondalup to install a plaque in memory of her 24-year-old son Daniel, said people did not want to use cemeteries to install memorials. “I don’t want to be reminded that Daniel is dead,” she said. 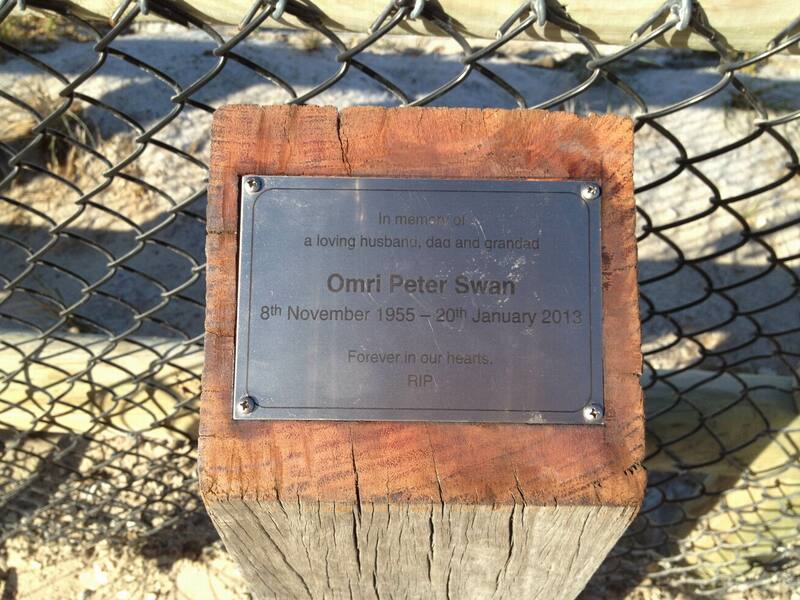 WANNEROO City Council has approved installation of a third memorial plaque at a Mindarie beach dedicated to a surfer. At its November 10 meeting, the council approved a confidential request for a plaque at Claytons Beach, pending consultation with families who have existing memorials in place. It decided the memorial would be reviewed after five years and the plaque would be provided by the applicant, but installed by the City, and match the style of existing plaques. Councillors unanimously agreed installation costs would be met by the City’s existing 2015-16 operating budget. 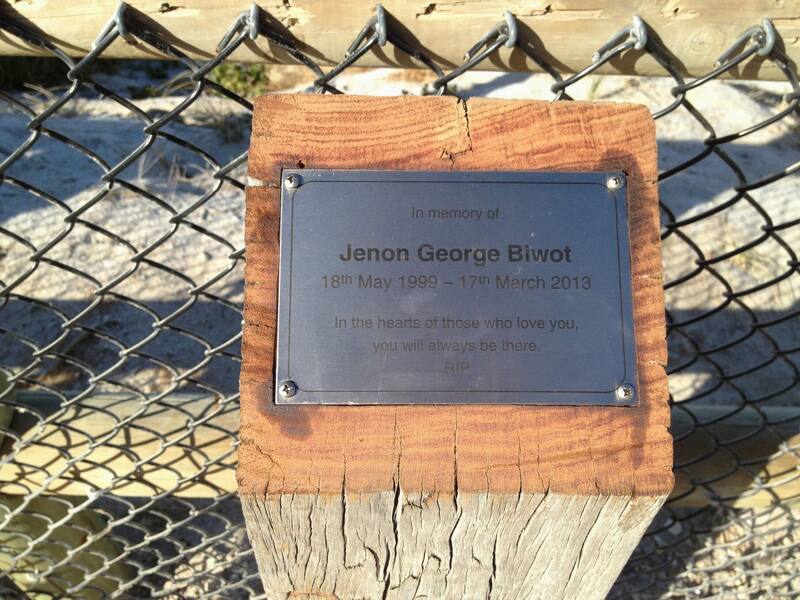 The City installed memorial plaques for UK tourist Omri Peter Swan and Clarkson teenager Jenon Biwot (13) at Claytons last year. The pair died two months apart after being caught in rips at the beach, prompting a review of coastal safety in the City. The Weekender understands the third plaque will honour a young man who loved to surf at Claytons. KATE Pinnuck wants a commemorative plaque erected to acknowledge fellow Mullaloo resident Marilyn Zakrevsky’s work to save bushland at Korella Park. “It marks 20 years this year that Mullaloo’s Korella Street bushland was saved from being developed into residential land,” Ms Pinnuck said. She also formed the Friends of Korella Bushland Group in 1995. “I would like to see Marilyn’s contribution to the park acknowledged by erecting a plaque on the fence or a seat,” she said. Joondalup chief executive Garry Hunt said the City only installed plaques as memorials.